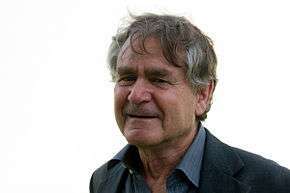 Ian MacDougall Hacking, born February 18, 1936, is a Canadian philosopher specializing in the philosophy of science. Throughout his career, he has won numerous awards, such as the Killam Prize for the Humanities and the Balzan Prize, and been a member of many prestigious groups, including the Order of Canada, the Royal Society of Canada and the British Academy. After 1990, Hacking shifted his focus somewhat from the natural sciences to the human sciences, partly under the influence of the work of Michel Foucault. Foucault was an influence as early as 1975 when Hacking wrote Why Does Language Matter to Philosophy? and The Emergence of Probability. In the latter book, Hacking proposed that the modern schism between subjective or personalistic probability, and the long-run frequency interpretation, emerged in the early modern era as an epistemological "break" involving two incompatible models of uncertainty and chance. As history, the idea of a sharp break has been criticized, but competing 'frequentist' and 'subjective' interpretations of probability still remain today. Foucault's approach to knowledge systems and power is also reflected in Hacking's work on the historical mutability of psychiatric disorders and institutional roles for statistical reasoning in the 19th century. He labels his approach to the human sciences "dynamic nominalism" (or, alternately, "dialectical realism"), a historicised form of nominalism that traces the mutual interactions over time between the phenomena of the human world and our conceptions and classifications of them. In 2003, he gave the The Sigmund H. Danziger, Jr. Memorial Lecture in the Humanities, and in 2010 he gave the René Descartes Lectures at the Tilburg Center for Logic and Philosophy of Science (TiLPS).007. Hacking also gave the Howison lectures at the University of California, Berkeley, on the topic of mathematics and its sources in human behavior ('Proof, Truth, Hands and Mind') in 2010. In 2012, Hacking was awarded the Austrian Decoration for Science and Art, and in 2014 he was awarded the Balzan Prize. Hacking, Ian (September 1988). "Telepathy: Origins of Randomization in Experimental Design". Isis. 79 (3: A Special Issue on Artifact and Experiment): 427–451. doi:10.1086/354775. JSTOR 234674. MR 1013489. 1 2 3 "Ian Hacking, Philosopher". www.ianhacking.com. Retrieved 2016-06-09. ↑ Michael Valpy (August 26, 2009). "From autism to determinism, science to the soul". Toronto Globe and Mail. pp. 1, 7. Retrieved 2012-04-14.